How does your son become the suspect in a horrifying plot to spray bullets into a crowd at the Capitol Building? 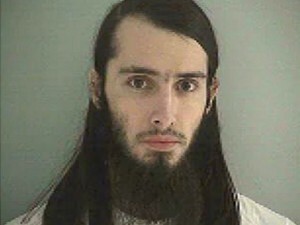 John Cornell still can’t believe his 20-year-old son, Christopher Lee Cornell, was arrested in an FBI raid on allegations that he bought two M-15 semi-automatic rifles and about 600 rounds of ammunition, he told NBC News on Thursday. Cornell said his son was manipulated by an FBI “snitch” and never would have gone through such an attack. The father said his son recently converted to Islam. Posted: 1/16/15 at 8:45 AM under News Story.